How is it possible for something that is made to keep you organized be so messy? This statement can be about our garages, our closets or even our wallets/purses. But today, we’re talking about kitchen cabinets. From pepper to plates to colanders and cups, your cabinets can quickly fill up and get disorganized. The kitchen is supposed to be a place of harmony. It’s a room where we gather with family and friends to eat, drink and be merry. This isn’t a place for added stress from not having enough places to put your “stuff.” Leave the stress behind, and let’s cook up a plan together to upgrade your kitchen cabinet space! Next time you’re in your kitchen, look up. You may have never noticed, but you might have storage space right in front of your eyes! If your cabinets don’t extend all the way to the ceiling, you can take advantage of that space by adding a shelf or simply using the top of the cabinets. Since this is probably high up and tough to reach, this is perfect for things like holiday china, cake plates or pressure cookers. Have you ever seen those magnetic strips for your kitchen knives? These are great for clearing space where your knives would normally be, e.g. a drawer or one of those clunky organizers. But, you can use this concept for lots of kitchen items. Slap some magnetic strips on your spice jars, pot lids and more! One of the most underutilized spots in your kitchen is the inside of your cabinet doors. Think about all that unused space! Obviously, you have to choose wisely on what to store, but it’s a great spot for small hooks to hang towels, utensils, pot holders, etc. Speaking of doors….you may do without them entirely. When you think about it, we’re probably only using the bottom third or half of most of our cabinets. You can fix this by removing the doors and installing sliding drawers. With these stackable storage spaces, you’re becoming much more efficient with your space. Plus, the fronts of the drawers can still match your cabinets! Remember your dad’s garage? Full of tools, hoses and cords all hanging neatly on his cherished pegboard? This style of storage is back in style and ready for you to create a massive amount of storage space. These hip pegboards are perfect for an open wall and even more discreetly on the side of the cabinet itself. Get to hanging! More Storage = Less Stress! We’re local. We’re global. 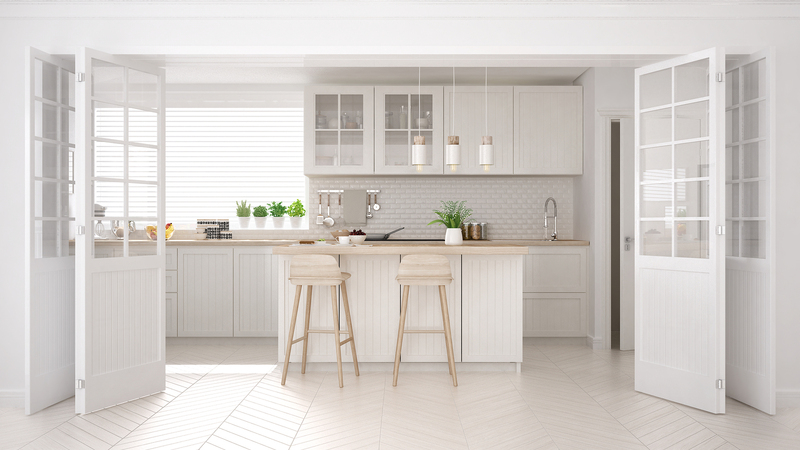 As an affiliate of Leading Real Estate Companies of the World® and Luxury Portfolio International®, GARDNER REALTORS has connections to the very best real estate brokers who can help you find your dream kitchen!